Oregon Travel Experience is pleased that Senate Bill 1591 was passed by the 2012 Oregon Legislature. The bill makes changes to membership and powers of the agency’s council. Additionally, the legislation will amend the 2009 Jobs and Transportation Act as it relates to highway rest area supervision. “We are pleased that the Legislature recognizes that our staff’s hard work is transforming the rest areas that were entrusted into our care two years ago and giving us even more opportunities to serve the motoring public. Our goal is to make Oregon a national leader in rest area management and quality service,” said OTE’s CEO Cheryl Gribskov. Firmly rooted in transportation, OTE helps motorists with essential services. Its rest area supervisors have helped motorists with problems ranging from minor mechanical failures to life threatening emergencies. By teaming with law enforcement, private businesses and non-profit organizations, OTE rest area supervisors work diligently to oversee public safety. 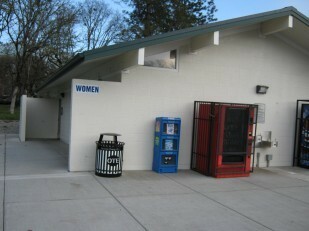 In January 2010, OTE assumed managerial authority over nine Oregon rest areas; six along Interstate 5 and three along Interstate 84. OTE immediately hired fulltime rest area supervisors, addressed deferred maintenance, and crafted a solid plan to refurbish the stops. Under SB 1591, Oregon Travel Experience will oversee management of two additional rest areas immediately: Government Camp on US Highway 26 at Milepost 54, and Tillamook on US Highway 101 at Milepost 70. Over the next two years, nearly all rest areas located along Interstate 84 and Interstate 5 will be transferred from the Oregon Department of Transportation to OTE’s managerial authority.